Dutchman Ricardo Moniz, who played for PSV Eindhoven and HFC Haarlem amongst others is Head Coach at Meadow Lane taking over from Shaun Derry in March 2015. He has had managerial experience at Feyenoord, Hamburg and Munich 1860 even spending 3 years at Tottenham as Skills Coach! These directions are courtesy of Notts County FC - Leave the M1 at Junction 24 and exit onto the A453 towards Nottingham (South). Carry on the A453 until you come to the Clifton Bridge. Exit left before the Bridge and you will come to a roundabout. Take exit onto B679 Clifton Road, which becomes Wilford Lane towards West Bridgeford (8 miles after leaving the Motorway). 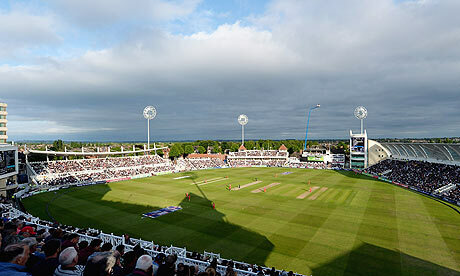 After just over a mile turn left onto the A60 and head over Trent Bridge. Take the first right turn (at the traffic lights) after crossing the bridge and into Cattle Market Road. The ground is on the right. Via Junction 26 of M1 is another option which is very straightforward but extra miles. Street parking in the immediate vicinity of the ground is restricted so the best bets are the car park Cattle Market (opposite the away end £3.50 which gets full very early in the day) or the pay and display parks about 5 minutes walk from the ground. They are clearly signposted and fully supervised. A train from London St Pancreas should take around two hours with a possible change at Grantham. The ground is a very short walk from Nottingham station. Turn left out of the main exit and then left again. Then right onto the London Road. Turn left into County Road where you will see the ground. Bus services passing the ground from the town centre are routes 6, 10 and 11. Please note that getting back to London after the game is virtually impossible via this route. The Supporters Coach plans to leave The Hive at 3pm at a cost of £24.00 return. Please see the clubs official website for details and booking for this. The club recommends The South Bank Bar, which is short stroll over the Canal Bridge from the ground. It serves reasonably priced meals too and real ales. For the perfect pre match pint look no further than the Trent Bridge Inn (Weatherspoons) which is adjacent to Trent Bridge Cricket Ground - it is only a 15/20 minute walk from Meadow Lane and a visit will give you the opportunity to gave a gander at Nottingham Forest’s stadium and the fast developing cricket ground stands. Reckless Recommendation - Close to the train station you will find the “Olde Trip To Jerusalem’. This historic pub dates back to the 12th century serves a fine real ale and food. I doubt you will find a Sky TV facility I there I am afraid sorry, shame that. It is about a five minute walk away from the train station. As you come out of the station turn right. At the top of the road turn left and then take the second right into Castle Road. 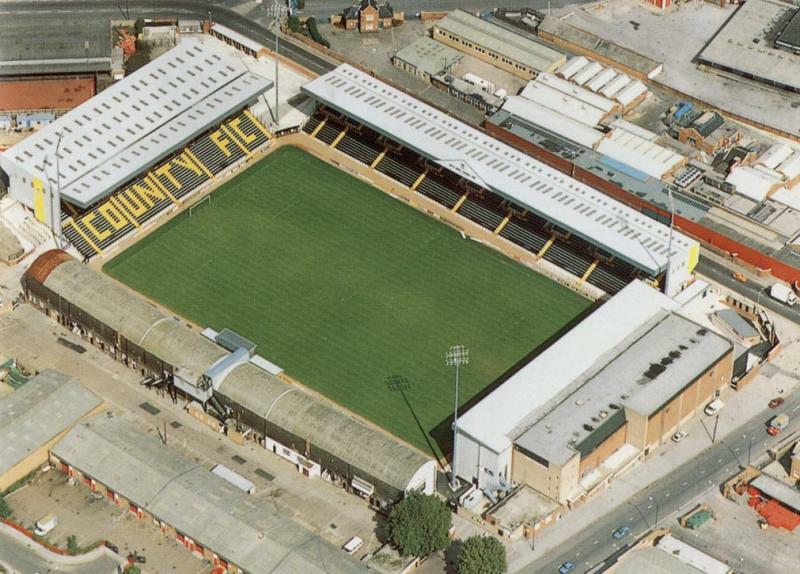 One of my literary heroes, Simon Inglis once said “Despite its name, Meadow Lane is as about as rural as the Boleyn Ground is Tudor” How things have even changed since then but I was lucky enough to visit the lovely old ground in the 1980’s before its re-modernisation. Gone has the charming old County Stand which was supported by stilts over wooden terracing and the tall uncovered Spion Kop terrace and the wonderful barrelled roof main stand first built in 1910. Progress has given Country a 20,000 plus all seater stadium with great views but with far less warmth. The Derek Pavis or Main Stand was built in 1994 and holds 7,000 while opposite is The Jimmy Sirrell Stand where 1,300 X Block seats will be reserved for visiting supporters. It has a nice traditional touch in the centre roof gable. The Family Stand is to the left and boasts some wonderful facilities for the young, with a crèche and tuck shop, and for the not so young with executive boxes and a bar built into the roof. The massive Kop Stand completes the picture which can hold up to 5,500. The view from the top is superb. Rivals Obviously that team that can be seen on the other side of the river and has a silly red tree as its emblem, plus Mansfield Town and Chesterfield. On our last visit to Meadow Lane in January 2010 it was a slow journey home after a 2-0 defeat in front of nearly 7.000. Our only win at the Lane was October 2006 when a Tresor Kandol goal won a Johnstone's Paint trophy tie. On a brighter note did you know that legend Ian Hendon scored three goals for Barnet against his old club, all from the penalty spot! The away fixture in Div 3 in April 1998, where we were beaten 2-0 in front of over 6,000 fans, was one of those really memorable weekends for me personally. Why? Because the infamous Curry Club spent the weekend in a guest house owned by ex-QPR and Scotland midfielder Don Masson. I can’t remember much about the whole weekend except seeing two Lee Harrison’s during the game in the Barnet goal and visiting a impressive restaurant and sampling Indian Tandoori Chicken smothered with goats cheese, absolutely superb. 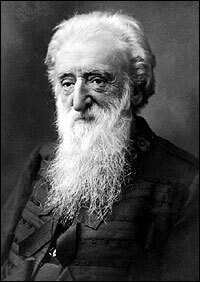 For those of you with culture in mind - the novelist DH Lawrence was born in these parts in 1885, As was William Booth founder of the Salvation Army and 19th century. Poet Lord Byron woz 'ere. 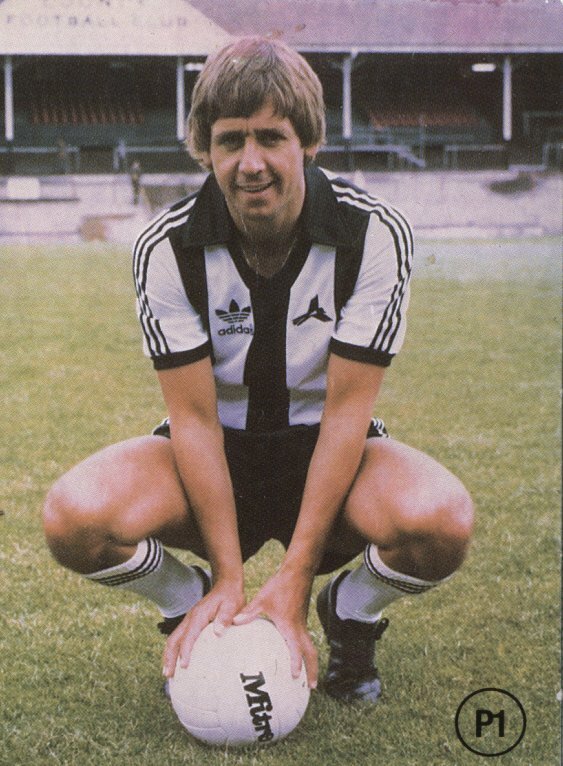 For those of you with no culture - why not pop down and see Torvill and Dean at the ice rink, Dale Winton at the supermarket, Leslie Crowther at the £1 shop, Su Pollard at the holiday camp or Richard Beckingsale in E wing.I am sure you aware that Notts County Football Club is reputedly the oldest football club in the world unless you come from Sheffield. It was formed in 1862. Robin Hood is still the worlds best loved outlaw and his legend lives on in the City. There is still a Sheriff of Nottingham but he is more likely to be seen opening new £1 shops rather than collecting taxes with menace these days.Did you know that the first recorded Earthquake in England was recorded in Nottingham in 1180? Oy Erroll, its Harrow not Arrow!